Lakewood is unashamedly complementarian in our approach to leadership in both the home and in the church. Practically, that means that we believe that God desires men to lead local churches as their pastors/elders and to lead in the home as heads — under Christ (1 Tim. 2-3; Eph. 5). We believe that men and women share the image of God and are therefore equal in essence in God’s evaluation (Gen. 1:27); simultaneously, we believe that God has ordained distinct roles for men and women and that these roles reflect the glory of the Triune God, graciously given by Him to humanity for the flourishing of the home and the local church. Distinct roles — set in the context of absolute and real equality — are mirrored in the Godhead (John 10:30, 14:9); while Father, Son, and Holy Spirit are completely and equally Divine, the Father is the head of Christ, who delights to do only those things pleasing to the Father, and who willingly submitted to the Father’s plan for the cross (see 1 Cor. 11:3; John 4:34, 8:29; Luke 22:32). Further, while Father, Son, and Spirit are perfectly united in God’s plan of redemption, each nevertheless has a differing role in bringing about that salvation. The Father planned our salvation before the foundation of the world and sent the Son in the fulness of time; the Son willingly (and in submissive obedience to the Father’s plan!) took on human nature and accomplished our redemption on the cross and in the resurrection from the dead; the Spirit uniquely applies that work to individual believers in the miracle of the new birth (Gal. 4:4-5; Eph. 1:4; Col. 1:13; 1 John 4:9-14; Titus 3:5). In this way, unity of essence combined with diversity of function is clearly seen both in the Triune God and in His plan of salvation for the world. Recently Elmbrook Church has publicly announced a forthcoming congregational vote to change their church’s constitution in order to allow women to serve on the council of elders. Since this church has an established tradition of women preaching to the whole assembly, and since they are led already by several female staff pastors, this proposed constitutional change is really the final step to fully embracing egalitarianism, which essentially teaches that there is no fundamental distinction in the roles that God has designed for men and women in the home or the local church. To be clear, we understand that none of our pastors are responsible for the flock of Elmbrook and that none of their elders answer to us. Nevertheless, the public nature of the Elmbrook announcement, coupled with the extensive influence that their local body has had on the evangelical culture of our community, has brought this issue to the forefront for many believers.  Because our congregation is presently impacted by an emerging exodus from Elmbrook, the pastoral team of Lakewood believe it is wise and right for us to respond briefly to the argumentation that has brought Elmbrook to this point of departure from biblical teaching. While we agree that this change is not a “salvation issue,” as their document (“Leadership at Elmbrook Church: Women as Elders”) clearly states, we nevertheless maintain that the local church is designed by God to uphold not only the gospel message and its fundamentals, but also the “whole counsel of God” (Acts 20:27, cf. 1 Tim. 3:14-16). The ordination of women elders may not itself damage the gospel message, but it nevertheless does damage to God’s people. 1. The real issue is not about women serving in ministry, or even serving in some ministry oversight capacity; rather, the issue at hand is women serving as elders. While arguments about women serving as deacons and women serving as apostles are refutable (“Apostle,” for example, can simply mean “sent one” and does not always refer to the official office of Apostle, since Jesus is referred to as an “Apostle” in Hebrews 3:1-3), they are not directly relevant to a discussion about women elders/pastors. Scripture indicates that women should be a part of teaching one another through songs, hymns, and spiritual songs (Col. 3:16), that they should teach other women (Titus 2:3-5), that they should teach children (2 Tim. 3:15, cf. 2 Tim. 1:5), and that they should teach — even men — in the context of private discipleship (Acts 18:24-26). A plain reading of Scripture, however, does not allow for women to teach or preach when the whole church is gathered for worship (1 Tim. 2:11-12). 3. The issue is not merely culturally and situationally dependent. Had the Scriptural teaching on gender roles been based on pre-existing cultural norms, perhaps the egalitarian approach would have some merit. However, Scriptural reasons for male leadership in the church are based in God’s plan for creation and based also in the Godhead — certainly not in the shifting sands of culture or in any particular situation facing the Early Church. After giving instructions for women not to teach the assembled church, Paul provides this reason, “For Adam was formed first, then Eve” (1 Tim. 2:13, cf. Gen. 2:18, 1 Cor. 11:8-9). In other words, the reason for the men to lead the church was found not in the existing Ephesian culture or in the temporary situation facing the church, but rather in the order of God’s creation. Male headship in the church is God’s creative design. In contrast to this, theologian Wayne Grudem from the Council on Biblical Manhood and Womanhood argues convincingly that head (kephale) always has reference to authority, both in biblical (see especially Eph. 1:22-23, Col. 1:18) and secular Greek writings (see Recovering Biblical Manhood and Womanhood: A Response to Evangelical Feminism, pp. 424-476). The problem with this view is that it does not explain the original language of 1 Timothy 3:2, which speaks of an overseer being a “one woman man,” presumably speaking to the sort of man that he is (i.e. a “one woman sort of man”). This certainly leaves room in the eldership for those who are not married (i.e. Paul), those who are “eunuchs for the kingdom” (Matt. 19:12), and those who are widowers or have remarried “in the Lord” (1 Cor. 7:39). The real issue here, though, is that Elmbrook’s paper fails to adequately address the word rendered by the major lexicon (BDAG) as “adult human male.” 1 Timothy 3:2, then, prescribes that an elder must be an adult male and further specifies what sort of “adult human male” is fit to serve the body of Christ in the pastoral office. While God’s new creation will certainly be populated by complementarians and egalitarians (and thankfully those that don’t even know what these words mean! ), the hermeneutics of egalitarianism may lead many others to shipwreck their faith in the interim, for if we can interpret the Bible to allow women elders, what else may we allow in the future? Recovering Biblical Manhood and Womanhood, edited by John Piper and Wayne Grudem (free PDF here). 50 Crucial Questions: An Overview of Central Concerns about Manhood and Womanhood, edited by John Piper and Wayne Grudem (free PDF here). “Complementarianism and the Local Church” (entire 9 Marks journal, available here). “William J. Webb’s Slaves, Women & Homosexuals: A Review Article,” by Tom Schreiner (free PDF here).